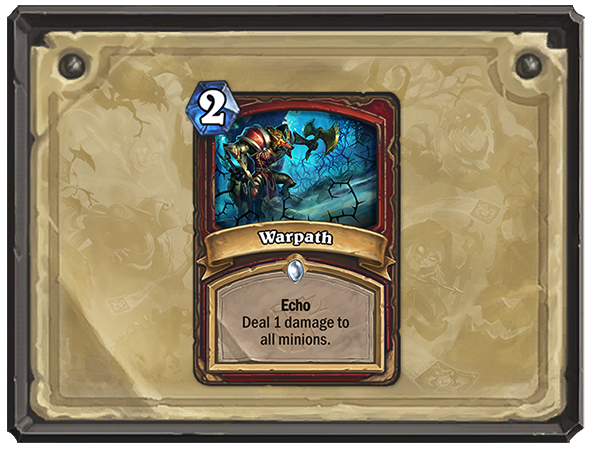 One of the new keywords coming in Hearthstone’s next expansion is Echo, which will imbue some Witchwood cards with the ability to be played over and over again – assuming you have the mana to support them. A new Hearthside chat video with designer Peter Whalen breaks down the ability and reveals two new cards which will make use of it. Check out the full Witchwood card list so far. 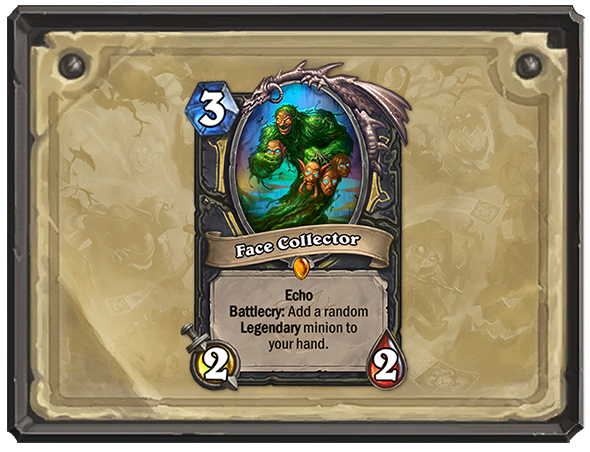 Echo cards return to your hand for the remainder of the turn after they’re played, so as long you have the mana you can keep playing them. The idea is to have cards that are useful both early and late in the game, giving players the choice about whether to spend that mana early or wait until they can play an Echo multiple times in a later turn. 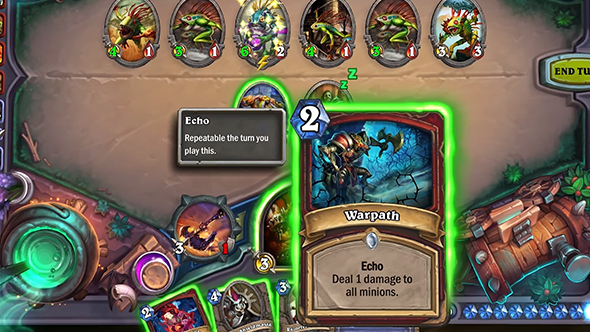 The video shows off two new cards equipped with Echo. Whalen also talks about some earlier ideas for the new expansion, which originally had a murder-mystery theme. An Investigate keyword would have let you build a murderer minion over a series of discoveries, determining their attack, health, and extra abilities. A Discover ability would have given your opponent an opportunity to guess the card you were picking, at which point they’d also get a copy. Ghostly had cards disappear after a single turn, and some cards added Ghostly copies of themselves to your hand – which eventually turned into the Echo ability now in the final set. The Witchwood also brings the potential for super-powered odd or even mana cost only decks, and will bring a new single-player mode when it launches next month.